This past weekend as I was checking out the running app, cardio trainer, on my phone I realized that on Saturday I logged my 200th run since I started tracking nearly 2 years ago. Based on the apps map I've run almost 2000 kms, basically from PEI to a bit past Hamilton, Ontario (or Washington DC for my friends in the US). I never imagined when I signed up to run a half marathon almost 2 years ago that I'd even make it to race day let alone still be totally hooked on the sport nearly 2 years later, and be training for my 7th half marathon. I love the feeling I have after a good run. Whether there are 20 or 20,000 people in the races I run I'm only worried about beating one person, me. With each race I run I try to better my time at that distance. Luckily last year I was able to do so at every distance I ran. 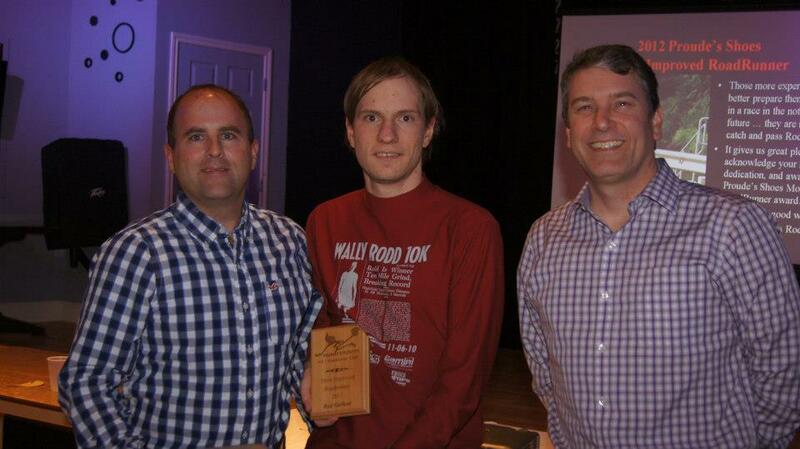 Recently I was surprised (and honoured) to receive the "Most Improved" award for 2012 at the PEI Roadrunners banquet. 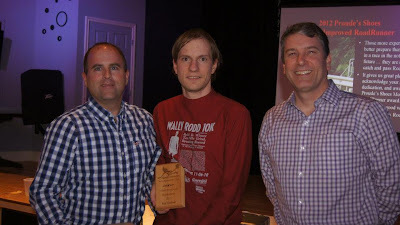 We are fortunate to have such an active group on PEI with a membership 400+ strong with organized races almost every weekend from May till September each year. I'm looking forward to another racing season starting in a couple of weeks and maybe, just maybe, I'll be able to convince myself to run a full marathon this year. Time will tell.